Elegant closed toe shoe. Good for competition on white or tan satin. Also wear it for the party with sparkles and pearl satin for your wedding. 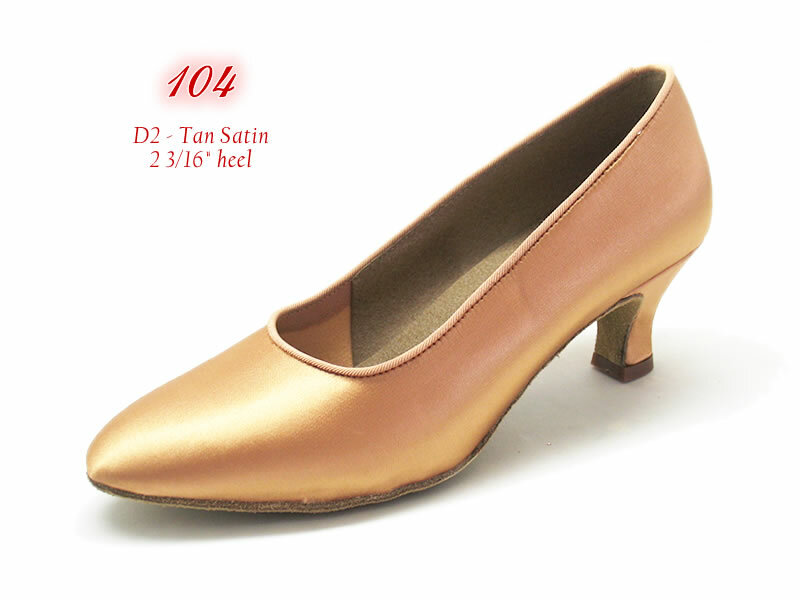 Picture shows in tan satin(D2), 2 3/16" heel.